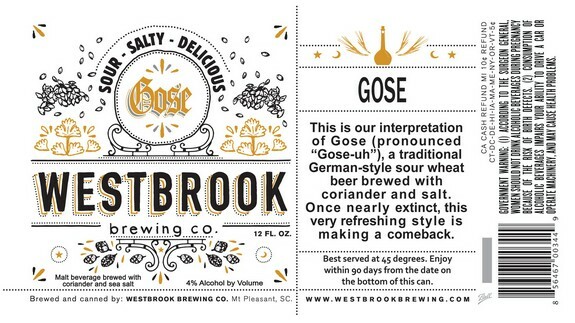 Artwork released for Westbrook’s canned Gose | Drink. Blog. Repeat. Man, if I had a nickel for every time I’ve been asked that question in the past few months. You may recall that back in April, I broke the news that the Lowcountry brewery was gearing up to can its 4% German sour wheat beer sometime this summer. That factual, verified piece of news somehow became a “rumor,” with fans of the beer breathlessly hoping it would come true. It is true. It always was true. It was never a rumor in the first place. Sorry, I had to vent there a bit. I digress. 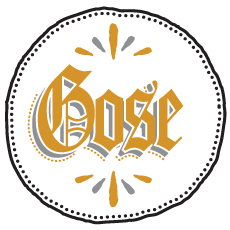 Below, you’ll find the new artwork for the canned version of Gose, which will take up permanent residence in my fridge when it’s released this summer. No word on when that’ll happen, though. It’s reportedly in distribution inventories for preorder, but with no release date. Pingback: Westbrook finally canning One Claw, Gose this week | Drink. Blog. Repeat.